Home / SkinCare / MMUK MAN - Mens Makeup. MMUK MAN - Mens Makeup. 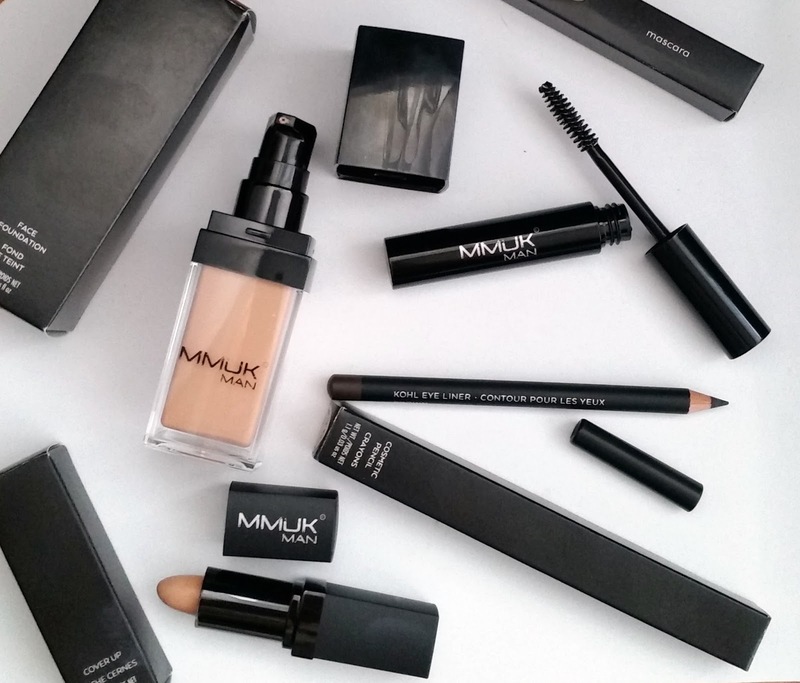 MMUK MAN have built a cult following thanks to their high luxury collection of mens makeup. The wide collection offers any gentleman the solution to their cosmetic goals whilst packaged in a bold but stylish design. MMUK MAN has been seen in GQ, Esquire and Men's Health, just to name a few, and once you have tried a product you will instantly become a supporter. MMUK MAN consists of 80 different products in total, offering the men of today an up to date range of mens makeup that caters for any cosmetic goal you want to achieve. The mens makeup range covers all bases including foundation, concealer, bronzer and anti-shine products such as powders. If eye makeup is on your wish list, they cover that too with their professional line of mascaras, eyeliners and brow pencils. Any of the products are available in a range of shades to suit your skin tone, if you are not sure what skin tone you are then the helpful team at MMUK MAN will guide your through to a successful purchase for you to enjoy your products. MMUK MAN sent me four of their popular products which are a foundation, concealer, guyliner and a clear manscara. The products arrived in black matte packaging with the ingredients listed in print on the side that can be easily read. I was really impressed on the eye appealing design of each of the mens cosmetic products and how travel friendly these actually are to take with you in your bag without taking up too much space. How well did the products perform? The luxury liquid foundation for men is available in ten shades catering for the palest skin to the darkest, whilst also including skincare benefits in its formulation. 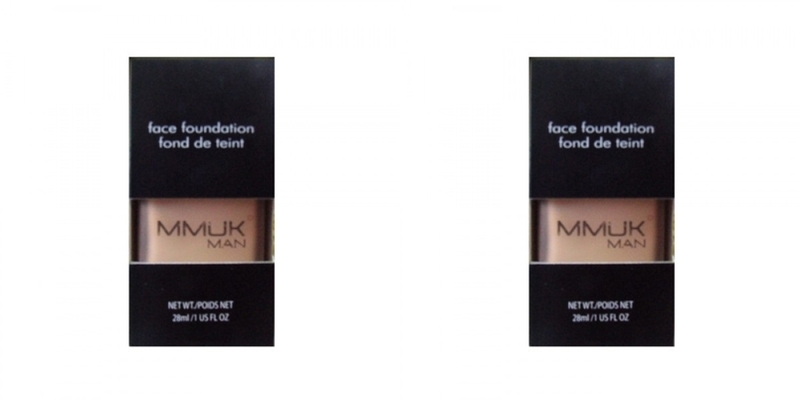 Achieving a light to medium coverage and blends expertly with your own skin upon application and as a result goes virtually unnoticed, this foundation is great for beginners to use and be introduced into the world of mens makeup. On application you can use your fingers, brush or a sponge, but its entirely up to the wearers preference on how they want to apply. I tried each application method and the foundation performed exactly the same way as i hoped, easy and flawless. Gliding over skin with ease and blending flawlessly into my skin tone with little effort, the foundation dried down to a matte finish without feeling overly dry on the skin. No transfer was seen when worn, just a healthy complexion with no added shine. The liquid foundation is suitable for all skin types thanks to its patented formula which individually protects, covers and corrects the three layers to your face, making it the must have product in mens cosmetics. Find out more by visiting the link here: - Foundation. The ultimate cover up makeup for men, this is your go to product to hide any imperfection you maybe suffering from. Available in ten shades, this cream to powder concealer camouflages your imperfection easily without being detected on your skin. Twisting up the product so the head of the product is visible, you can then proceed to apply the concealer over the imperfection until covered. Placing your finger or using a brush to pat down and blend the concealer will help the product be undetectable. 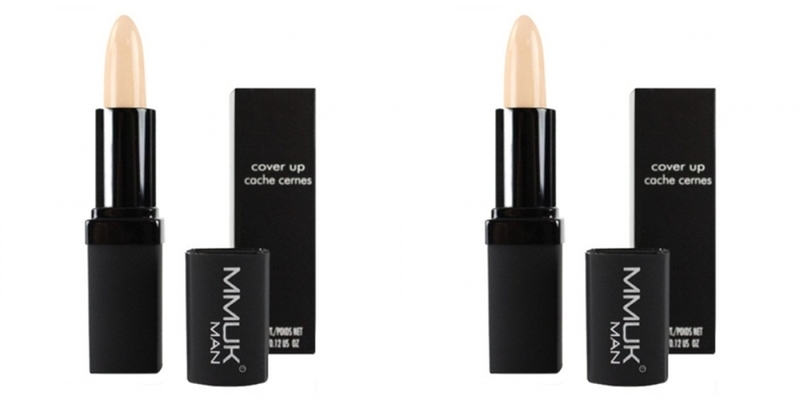 The concealer stick is also great for hiding any pigmentation, redness from shaving and using under the eyes to conceal dark circles and puffy eye bags. MMUK MAN patented formula built into the concealer works it's magic in the background tackling those unsightly skin issues and making them a thing of your past. To Find out more on this easy to use concealer stick for men visit the link here: - Concealer. The Expert Finish Guyliner Kohl Pencil For Men is available in two shades that are black and the popular shade brown. 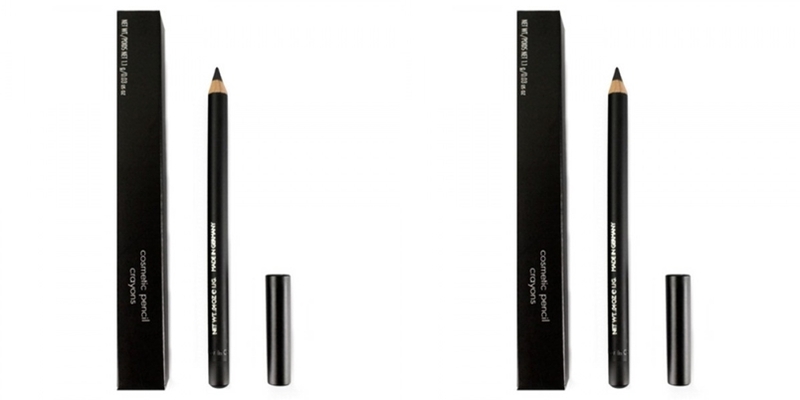 The cosmetic pencil crayon is a guyliner that is easy to transform your eyes to a subtle difference (brown shade) or a full on rock star look (black shade). The precise applicator tip makes it easy for any beginner to apply and is also quick drying so you do not have to worry when your in a hurry creating your new look. The guyliner is a multitasking product by being able to create a subtle everyday look or a dramatic statement look by smudging on application. Find out more on this soft and light formula to frame your eyes on the link here: - Guyliner. The Lengthening Mascara For Men can dramatically change the look of your eyes. Available in three shades, black, brown or clear, the manscara is a product to reach for in any gentlemens regime. 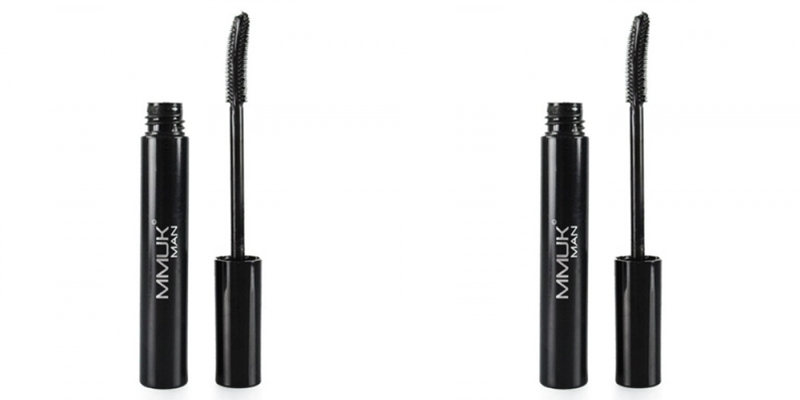 The smudge proof and fibre free formula along with the water resistant lengthening cream based formula transforms eyelashes to look naturally long and separated. Once dried, lashes do not feel heavy or dry, but volumized giving the eye area a more awake look. The wand applicator is the perfect size to capture the top and bottom lashes coating them in this natural looking lengthening manscara. Find out more by visiting the link to transform your lashes here: - Manscara. MMUK MAN offer a mens makeup range that is non confusing, whilst being highly detailed, helping the beginner to be welcomed into their range. 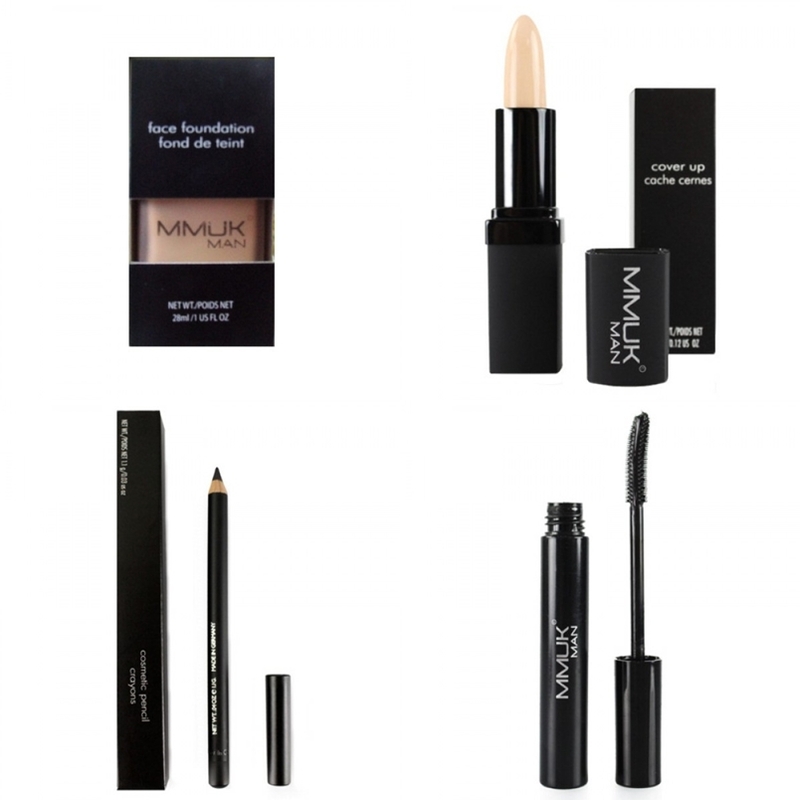 You can select a few products to change your look subtly concentrating on one subject of your face, or by buying a range of the products, the simple to follow steps allows you to apply the makeup to create an all over makeup look easily without being detectable. Each product performs extremely well throughout the day or night and the price point is easily affordable, a little is all you need when applying so the products will last you quite some time. Head on over to MMUK MAN, the one stop shop for luxury mens makeup. X Neil.